Something I love to promote in my clients is good sleep. 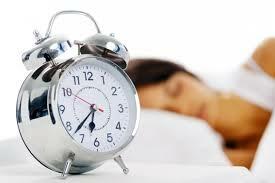 One of my earliest clients came to see me about chronic insomnia which was preventing her from completing her PhD. We worked together for just a few months before she started sleeping through the night again. Most people don’t need any persuasion that poor sleep is a bad thing, because they feel rotten when they have a bad night. But many, many people simply put up with bad sleep, and feel it is just a ‘normal’ part of life. This is where we need to remind ourselves that it is really worth addressing poor sleep. In the short term, lack of sleep can reduce your immunity, increase your blood sugar levels, and alter your intestinal microbiome, making you more susceptible to inflammation and gut disorders. In the long term, through a number of mechanisms, lack of sleep may increase your risk of Alzheimer’s, cardio vascular disease, weight gain and type two diabetes. Light management is much more than just having thick curtains to prevent waking at 4am. It’s about arranging the way that you interact with light throughout the day. Getting this right will effectively help to teach the body when to sleep. Sunlight in the morning encourages the body to produce cortisol, the energising hormone which helps you get going. It also sets the circadian rhythm for a gradual decline in cortisol throughout the day, allowing you to feel properly drowsy at night. Taking at least 30 minutes of daylight outside (within 1-2 hours of waking) can help reset circadian rhythm. Daylight during the day is important too, as is exercise. Being properly active and outdoors helps the body to recognise better when evening comes, and to rest. It should be obvious, but most of us don’t do it: relaxing properly in the evening prepares us for better sleep. Place limits on your work, and decide when you will stop reading emails and checking messages. If you possibly can, allow yourself to rest, have fun, and be with people you love in the evening, knowing that your morning will be more productive as a result. Two hours before you go to sleep, turn off or blue-block your screens. You can also get apps to block this light on your devices, or even special blue light blocking glasses! Ideally, however, ditch screens altogether in the evening. Candlelight, dim lighting (and even red light bulbs) can help signal to your body that it’s approaching night time. In addition to being kind to your digestion generally – like being careful to avoid foods you’re intolerant to, and to finish eating by 9pm – there are other things you can do to support your natural ability to sleep. We mentioned morning sunlight above, and how it sets our circadian clock right. In order to benefit fully from sunlight, we need a protein called melanopsin to detect the light and tell the brain that it’s day time. And vitamin A is required for this signal to be transferred correctly. So proper intake of vitamin A will be important. One way to consume vitamin A is to eat organic liver once a week. Other sources are organic egg yolks and butter, and red, orange, yellow, or green vegetables, always eaten with fat, because vitamin A is a fat-soluble vitamin. This mineral is a renowned promoter of relaxation and sleep, but stress can quickly burn through our magnesium levels. Magnesium can be absorbed both via the skin and via the gut. Magnesium oils like Magnesium Oil Original Spray by BetterYou, together with including plenty of nuts and seeds in your diet, may help to improve your magnesium status. Now, there is something of a chemical cascade here. Melatonin, the sleepy chemical, is produced from serotonin, as we said – but serotonin is produced within the brain from the amino acid tryptophan. And tryptophan often needs help from carbohydrates to get across from the blood into the brain in the first place. This is because tryptophan competes with other amino acids to get to the brain; eating carbohydrates stimulates insulin, which gets the other amino acids absorbed out of the bloodstream and gives the tryptophan a better chance to get across into the brain and be turned into serotonin and then melatonin. On the subject of relaxation, research has shown that if the heart is out of sync from its ideal rhythm, this can impact the quality of sleep. 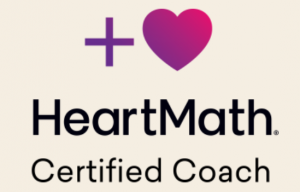 I have recently trained in HeartMath, a scientifically backed approach to reducing stress and the impact it can have on the rhythms of the heartbeat. I hope to write a little more about this in future: do get in touch to find out more. Baker, F.C., Mitchell, D., Driver, H.S., 2001. Oral contraceptives alter sleep and raise body temperature in young women. Pflugers Arch. 442, 729–737. Herrera, C.P., Smith, K., Atkinson, F., Ruell, P., Chow, C.M., O’Connor, H., Brand-Miller, J., 2011. High-glycaemic index and -glycaemic load meals increase the availability of tryptophan in healthy volunteers. Br. J. Nutr. 105, 1601–1606. Hilli, J., Korhonen, T., Turpeinen, M., Hokkanen, J., Mattila, S., Laine, K., 2008. The effect of oral contraceptives on the pharmacokinetics of melatonin in healthy subjects with CYP1A2 g.-163C>A polymorphism. J Clin Pharmacol 48, 986–994. Hinz, M., Stein, A., Uncini, T., 2012. 5-HTP efficacy and contraindications. Neuropsychiatr Dis Treat 8, 323–328. Nayak, S.K., Jegla, T., Panda, S., 2007. Role of a novel photopigment, melanopsin, in behavioral adaptation to light. Cell. Mol. Life Sci. 64, 144–154. Reinberg, A., Touitou, Y., Lewy, H., Mechkouri, M., 2010. Habitual moderate alcohol consumption desynchronizes circadian physiologic rhythms and affects reaction-time performance. Chronobiol. Int. 27, 1930–1942.